Safety, performance and comfort for all types of motorcycles. 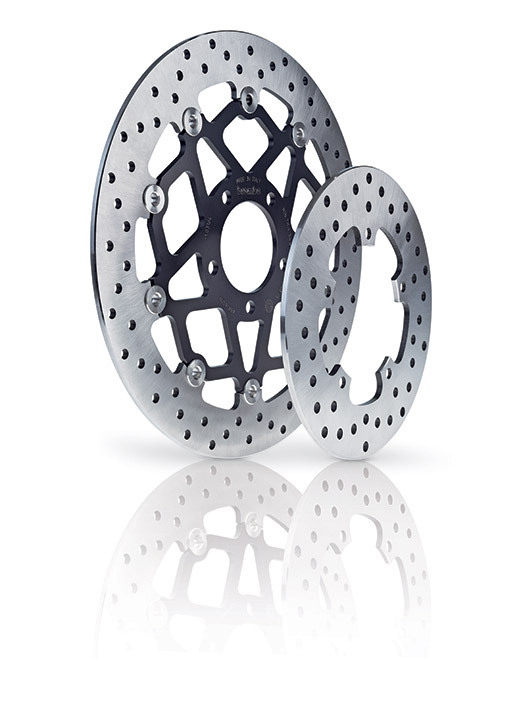 Brembo offers a comprehensive range of superior quality brake discs that are the product of state-of-the-art technology, and which improve safety, performance and comfort for all types of motorcycles. The brake disc is the fundamental element in a system that must ensure safety, reliability and performance at all times and in all conditions. With its Serie Oro and Genuine product lines, Brembo offers a complete range of brake discs that caters for all possible needs, with the same outstanding levels of quality supplied to the manufacturer's of the world's most exhilarating bikes. Brembo Serie Oro brake discs represent the best that the market has to offer, with a range of products boasting superlative technical content and quality. Available in both fixed and floating versions, these discs are fully interchangeable with original production discs. The Serie Oro line is the preferred choice of motorcyclists who demand Brembo quality - which is now accessible to all, with almost 2000 different applications available.